nanny reported them as being unconcious. all other affected by this horror. help from the Sanctuary, and support you from Zion. 4.
us on the day we call. of 5-6 terrorists in the building. is the cook lady for Chabad. "The nanny said they were alive but unconscious." them at the Nariman House/Chabad, AFP reports. minister R.R. Patil told reporters. Vilasrao Deshmukh said the situation was "grave." house." The meaning remains unclear. Mumbai Chabad Center, Israeli Channel 2 reports. outside the room in which she had barricaded herself. 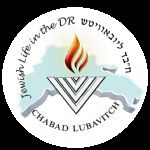 ultra-orthodox Jewish group Chabad Lubavitch. the center for the last five years. out whether their loved ones were safe. people in the building were "unconscious." still in a state of uncertainty," said Mrs.
Thursday, family members left for India. suspected Muslim militants claimed responsibility. when they saw a gunman running up the stairs. Israeli consulate in Mumbai. "They are a target." want Rabbi and his wife to come out." May we hear good news soon.